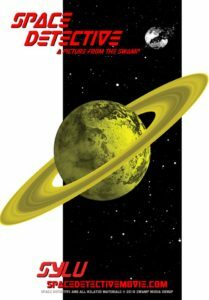 This article is part two of my interview with the Swamp Media Group regarding the upcoming release of its new independent film, Space Detective. 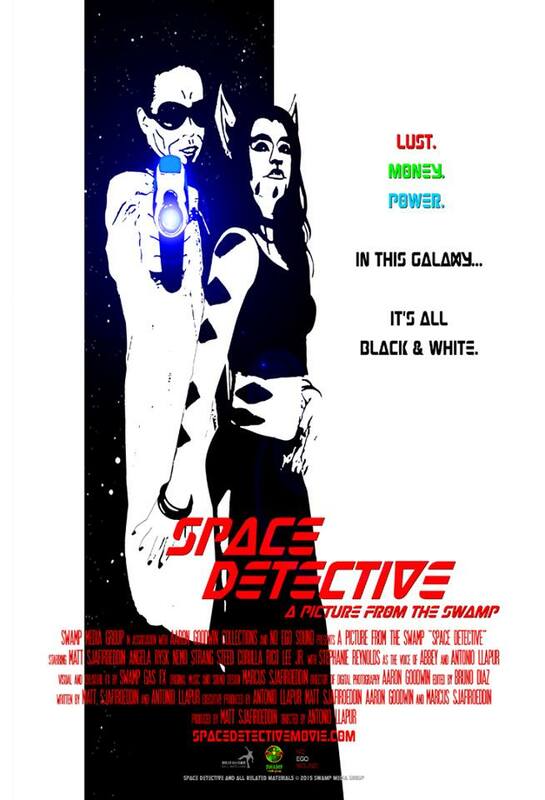 In part one, founders Antonio “Tony” Llapur and Matt Sjafiroeddin discussed how they started the Swamp Media Group, their backgrounds and love for Science Fiction (Sci-Fi), and finally, their full length production, Space Detective. In part two, Antonio and Matt continue their discussion of Space Detective, in addition to lessons learned, and future creative aspirations. Anwar Dunbar: So Matt, you said Space Detective is a Noir story? Matt Sjafiroeddin: Yes, it’s very Noir, a very classic conventional Noir. Antonio Llapur: Film Noir was a movement in cinema in the 1940s and 50s to make dark films. The themes are usually dark and involve a femme fatale – a lady who is going to screw over, or do harm to, or mess up the life of the protagonist which is usually a cop, district attorney or detective. 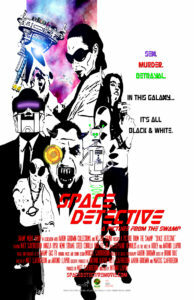 So Space Detective literally took all of the elements and added outer space and aliens – it’s pretty much a Humphrey Bogart movie from the 1940s – like The Maltese Falcon or The Big Sleep, a Sam Spade or a Phillip Marlow movie; along those lines. We added this crazy element of it being in the future, essentially in a galactic community. So rather than our story taking place in some hard-boiled American city, it takes place on this space station called ‘Carina Dawn’ which is floating out in the middle of nowhere close to the Carina Nebula, which is a real Nebula by the way. It’s like a domed Las Vegas-like pleasure center. We re-interpreted and inverted the tropes of the Noir detective movies and put it in an outer space environment much like what Ridley Scott did with Blade Runner; that involved detectives and took place in Cyber-Punk reality. But Space Detective isn’t as dire as Blade Runner. Space Detective is a hilarious fun movie. It’s serious and it’s funny, and there are all kinds of crazy things going on in it. MS: There’s also a lot of mystery going on because the Space Detective is human and he’s in this galaxy, a galactic community of aliens. He’s a rare breed because humans haven’t been spread out in the galaxies. There’s a mystery about him. Why is this human out here in the middle of the galaxy? He’s got these weird, special alien powers, and so one question is where did he get those powers from? Some of the questions are answered by the end of the movie and some of them are left unanswered for possible follow up stories, just to keep people interested. So there’s the possibility of this movie moving forward in other serials, or other sequels, or even a television show that we hope people will be interested in. AL: But the basic plot of the movie is that Shiro (the protagonist) gets a phone call from his ex-girlfriend. She says, “Come back to Carina Dawn. I need some help getting away from my gangster husband. He’s not good.” And essentially that’s it. He’s going to help this girl get away from her gangster husband and he gets mixed up in a crazy plot involving space terrorists, mobsters and the fate of the galaxy. AD: Tony, give me the name of the Nebula again. AL: It’s the Carina Nebula. It’s actually pronounced Car-I-na, but we pronounce it Car-EE-na. So what we did for the special effects is went on the Hubble website, and I downloaded a bunch of their free use images. Their policy is, “Use whatever you want, but just make sure to give us credit for it.” I think Hubble is the greatest thing in the universe. Our Nebula is actually based on a Hubble image. We basically photo-shopped in some of the colors, which allowed us to include some semi real geography. AD: That’s really interesting because you guys know that whenever a Sci-Fi movie or show comes out, whether its something like Prometheus or The Martian, there are always Sci-Fi groups who rip the science in that particular production. Dr. Neil DeGrasse Tyson does a lot of that. So it sounds like you did your research on what’s known about our natural world and universe in the production of Space Detective. AL: Yes, a little bit. We tried to do that. Let’s face it, it’s a silly space movie-cartoon. You’re going to hear lasers when they’re flying in space. We obviously know that sound doesn’t work in space, but we don’t care. We grew up watching Star Wars movies and when we can throw something at someone and it’s legitimate, I think it lends something to the movie and it enriches the universe a little bit. I understand Dr. Tyson’s frustration when he sees something and he says, “Obviously that constellation isn’t there that time of the year”, whatever – and I think that’s cool that he does that. I don’t hate on him for it. MS: I’m really big on astronomy, so while making this movie I did want to make sure some of the science was on par. I’ll watch science fiction movies and I’ll say, “Wait a minute, that’s not how that happens.” But making a movie and telling a story, there are certain things you just have to bend sometimes, like sound in space for example. If you watch Star Wars movies when the ships are fighting each other in outer space and you do it with no sound, it’s boring. There are just certain rules you have to bend sometimes in terms of telling the story. But if you try to keep things as scientifically accurate as possible, then people will enjoy it. People like Tyson will enjoy it if he knows this and that don’t happen. He’ll at least know this is right and that’s right. AL: But don’t get me wrong. I wanted to experiment with some stuff with sound too. In certain parts I’ll say, “Let’s make this a little more realistic. Let’s make it muffled.” I’m a big fan of Battlestar Galactica, the new show. They tried to do stuff like that – muffle the sound when the ships were out in space, but that didn’t work with Space Detective either because it’s so bright and colorful and cartoony that it begged for those engines and those super loud explosions in space. It was like it said, “No, please treat me silly”. But things like the nebula and having the movie take place geographically on the Orion Arm of the Milky Way Galaxy, we incorporated into the back story. We tried to give it some semblance of reality, but ultimately we just want the audience to have some fun with it. AD: Yes you can really see how all of the effects come together in the trailer. AD: You used real life actors in the movie, and from the snippets that I’ve seen, it has a really unique look. Has this technique been done before, or are you pioneering this look? AL: Oh yes, this is all us, man. That’s something that we cooked up. There’s a similar technique they use called roto-scoping where they will trace over actors to creates an animated look. We didn’t do that. We did everything in camera. We put makeup on our actors – almost kabuki style. The style of film is very striking – we shot it in front of a green screen and then we put that in the computer and processed it a little bit. We adjusted the contrast, the black and white levels, but its still actors and we didn’t change it that much. We’re just doing a visual crunch, if you will, on their images. We use a lot of puppets too. MS: It’s funny because some people look at it and it reminds them of Sin City. And it is like Sin City in space, a detective film which is really dark and Noir. They say its funny because Sin City is one of the inspirations for this movie, and the actual Sin City comic book illustrations are really high contrast black and white whereas if you watch the movie it’s more shades of gray. So it’s unusual that people will look at this and say, “Oh, it looks like Sin City in space”. Making it in this particular style allowed us to get away with so much. I built a lot of the props and-. AL: What do you mean you built a lot of them? You built all of them. MS: Okay yes, I built all of them. In this black and white style I was able to get away with a lot because I built a lot of things with cardboard and trash bags, but it doesn’t look like it. That’s one of the things about a lot of the Indie Sci-Fi films being made out there. They’re really expensive to make which is why a lot of Indie film makers make dramas and comedies. When they do make Sci-Fi it actually looks like it’s made out of cardboard and trash bags. What’s unique about our movie is that it doesn’t look like it was made of cardboard and trash bags and in actuality, it is. We were able to get away with so much and cut so many corners that that square turned into a circle, and people are really going to enjoy it I think. AL: I was more in charge of the visual effects so I did a lot of computer imaging and it allowed me to get away with a lot too. Like I said, Amahl Dunbar, who created the 3-D animation of our ships, was able to populate one of the scenes with hundreds and hundreds of characters in the background. The fact that he didn’t have to render different textures and colors and shading, saved him a lot of time and he was able to do the work of ten dudes. MS: Yes, a lot of Amahl’s 3-D models and spaceships are awesome. 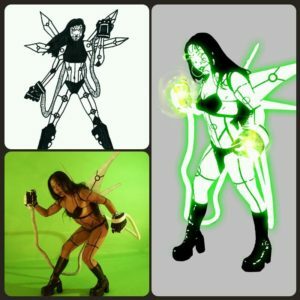 When you do special effects, a lot of time is taken up with the skins of it – making sure it looks metallic, making sure there are proper shadows, reflections, etc. But with this movie we didn’t need any of that. We just needed it to be black and white and that’s it. Amahl was able to make designs and not worry about making shadows or reflections. We just needed the baseline model and it works. AL: Yes, so to describe the visual aesthetic of the movie, everything in Space Detective is black and white – high contrast black and white with no shades of gray. And then the rest of the movie is literally splashed with color. However, it’s splashed with purpose so anything that generates energy in the universe, that’s a color. If you see a laser gun, the beam is going to be a bright orange or a blue. If you see an exhaust from a ship, it’s going to be a bright color. If you see lights on buildings, they’re each going to be different colors. The movie has its own unique look. I remember Matt mentioned the Sin City comic book because I was obsessed with that comic book, especially in college. I grew up worshipping Frank Miller and his work. One of the first comics I ever read was Batman: The Dark Knight Returns, for God’s sake. Anyway, the color has a purpose in it. Everything found a purpose, not just to cheat, but man did it help us cheat. MS: The movie ended up being more colorful than we realized. It was one of our biggest concerns when we started – if it was going to be black and white and hurt people’s eyes. Now we’re at a point where we realize how colorful it is. AL: There was a French movie called Renaissance which did a similar thing with black and white, and it’s hard to watch. They don’t have any color in it. MS: But that was all animated and they had no live action actors. AD: So ballpark, your goal for releasing Space Detective is the next month, two months, half a year? MS: We are having our world premiere at the Miami International Science Fiction Film Festival in January 2017. We’re so thrilled about it. It’s so exciting. AL: I really think we have something special and the festivals are really going to enjoy us and want us to be a part of them. It’s a really unique movie. It’s a different kind of movie. The story is fun. It’s intriguing and it’s funny. The characters are rich and original and look completely different than anything you’ve ever seen. 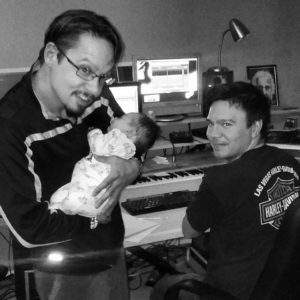 It sounds amazing – thanks to the music that Matt’s older brother, Marcus, composed for it. MS: My brother, Marcus, is a classically trained musician. He played in the Las Vegas Philharmonic. He has been in bands since he was a kid, and he’s got two decades of recording experience in studios. AL: He’s a great rock and roller. MS: He really elevated this movie in terms of sound, and a lot of people will tell you that half of a movie is what you hear, so my brother is really responsible for half of this movie. He helped to record all of the dialogue. He helped to create all of the sound effects and he helped compose all of the music. It’s just fantastic. The quality of the audio and the music is just so amazing that it really elevates this movie to professional levels I think. AD: I’ve heard that before about films and their scores/soundtracks. I watched a documentary where James Horner discussed composing the music for Star Trek II: The Wrath of Kahn. He described how some of the most memorable films are perfect marriages between the film and the music, and so what you remember is the two together and not separately. I know that you probably already have sequels in mind, but I won’t ask you about that. 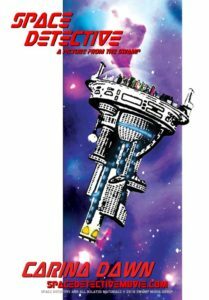 Discuss the major learning points in the production of Space Detective? MS: I learned that we could make a feature film. To be honest, I learned what it means to be a producer. I went through college learning all kind of things and you know what an actor, writer, and editor do, but it’s hard to know what a producer does. I’ve learned that a producer produces, and that’s what I’ve been able to do over the years whether it’s been producing practical effects, make up, wardrobe or anything like that. Just to get things done as the producer, you have to be on the ball and get it done. That’s probably the biggest thing I’ve learned is how to produce. AL: I agree with Matt. We learned that we can do it. I was always scared of directing growing up. I would say, “I can’t come up with all of these shots. I don’t know what I’m doing.” But I actually do know what I’m doing. I’m pretty good at it, and Matt’s pretty good at it. I’ve learned that I think directing is probably the hardest thing that anyone can possibly do. It is the playing soccer of art making. It is all about endurance. It is all about not giving up. It’s about trying to con your friends into doing insane things, and then trusting them. It’s about leadership and a lot of other things. MS: I think the biggest thing we learned is that we can make a movie on our own for freaking nothing. We can do it ourselves and we can make it look good. So I try to think that if we can do it on our own with nothing but chicken scratch, imagine what we could do if someone gave us a real budget, a multi-million dollar budget. You can imagine what we could do with the actual resources to get things done. AL: And I’m not even talking about Marvel money, or Batman and Superman money. I’m talking about ten million bucks (laughing). I mean what could I do with ten million bucks? I could change the world with ten million bucks. We could change movie making with that, and yeah, I’m not going to lie, I think one day Matt and me should be able to tackle a Batman movie or something like that because hey at the end of the day, it’s just more expensive and it’s just the same stuff we did with Space Detective. There’s a bad guy, some colorful villains and there’s a town that he has to protect. And there’s a crap-load of special effects going on in there. We can handle that. AD: Is that what you would like to tackle some day? A Batman movie? AL: Sure, a Batman movie, an X-Men movie, any of those. We’re both comic book nerds so we love that genre. Anytime one of those big movies comes out, we’re there. We’re like excited 11 year olds. That’s not to say that we’re not influenced by other things. I’m a big George Lucas fan. He’s my hero. I love Akira Kurosawa. I love Terry Gilliam. Orson Welles – I was just reading a bunch of articles today on Citizen Kane. It’s the 75th anniversary of its release and it’s probably my favorite movie. That being said, capes and laser guns are where it’s at man. It’s so much fun and I think those types of movies and those types of stories are great mirrors on society and humanity. They show the things that we can accomplish in the future, or things that we can do today as far as – I’m just rambling, but I just think that popular entertainment is more important, more artistic than people give it credit for. And with Space Detective, I think we tried to make a popcorn film that would reflect that kind of movie. AD: Well gentleman, thank you both for this interview. I look forward to seeing Space Detective and your future productions. AL: Thank you, Anwar. This is our first interview. AD: No problem guys. I suspect it will be the first of many interviews that you will do, and I’m honored to be a part of the first one. Visit the Swamp Media Group website to learn more their current projects and upcoming productions. Thank you to the Swamp Media Group for generously sharing their trailer, and or the photos used in this post. If you’ve find value here and think it would benefit others, please share it and or leave a comment. 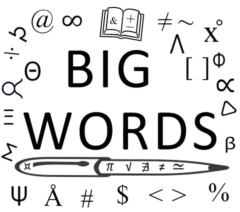 To receive all of the most up to date content from the Big Words Blog Site, subscribe using the subscription box in the right hand column in this post and throughout the site. Lastly, follow me on Twitter at @BWArePowerful, on Instagram at @anwaryusef76, and on the Big Words Blog Site Facebook page. While my main areas of focus are Education, STEM, and Financial Literacy, there are other blogs/sites I endorse which can be found on that particular page of my site.